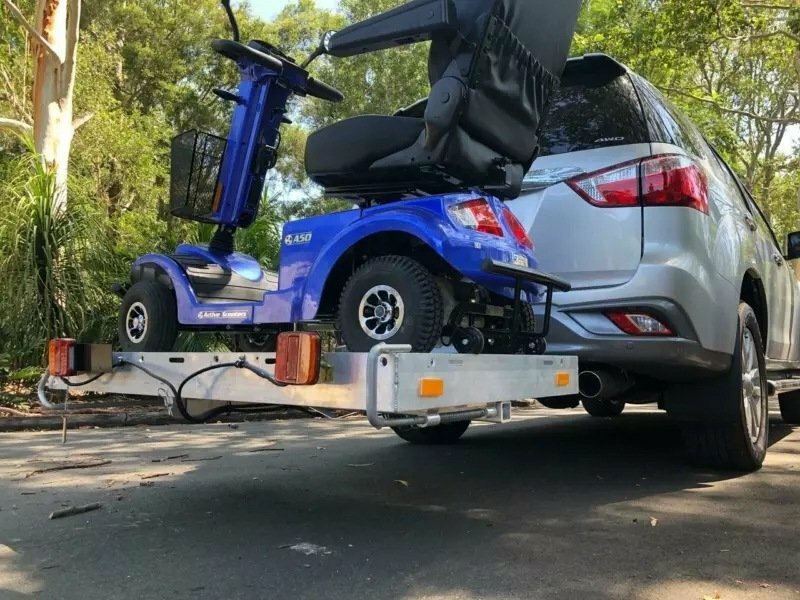 If you’re unable to dismantle your scooter, or need to travel further than a few blocks, then a mobility scooter carrier is the perfect solution. 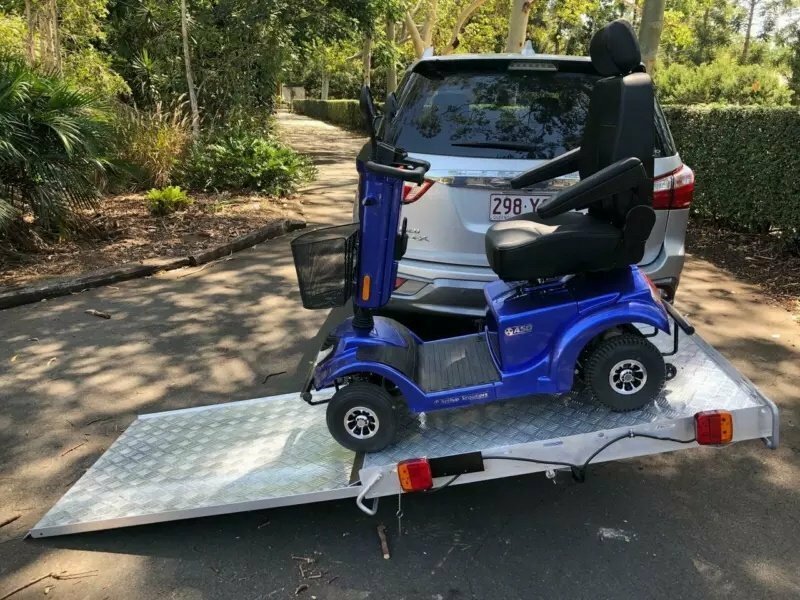 Designed to take the heaviest mobility scooters, it’s got a capacity of 230kg and can handle scooters, or electric chairs that are up to 88cm wide and 131cm long. Loading the scooter is as easy as extending the ramp that’s underneath the deck, then tilting the ramp towards the ground. 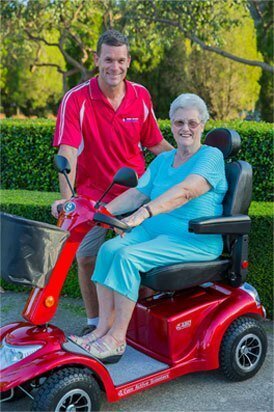 Roll your scooter up, the deck will tilt back to the flat position, push the ramp away, tie it down and drive away. 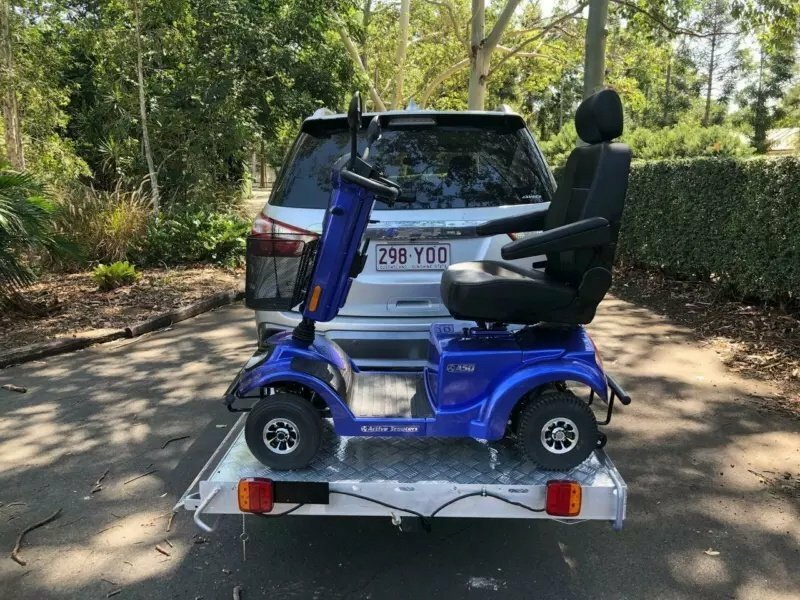 When it’s not in use, just fold it up against the back of your car. There’s no need to take it off. 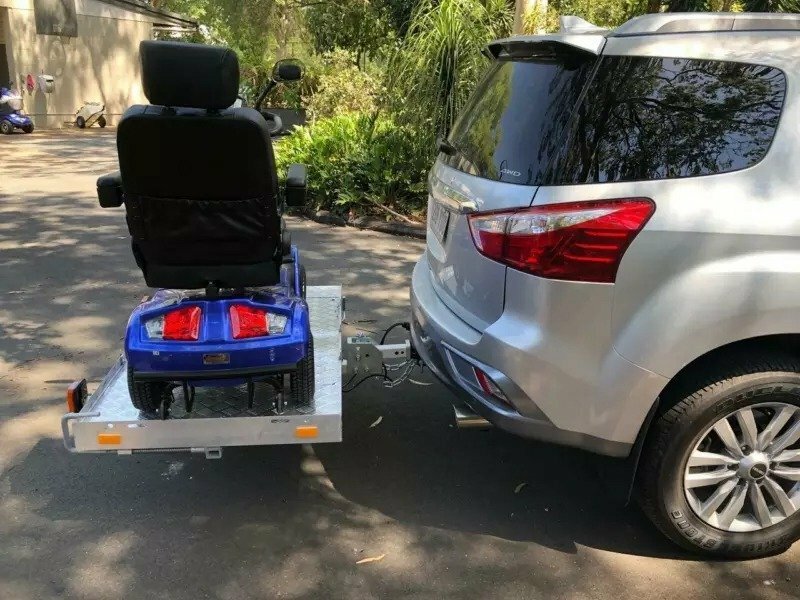 Our mobility scooter rack is solid, and so is your scooter or electric chair. 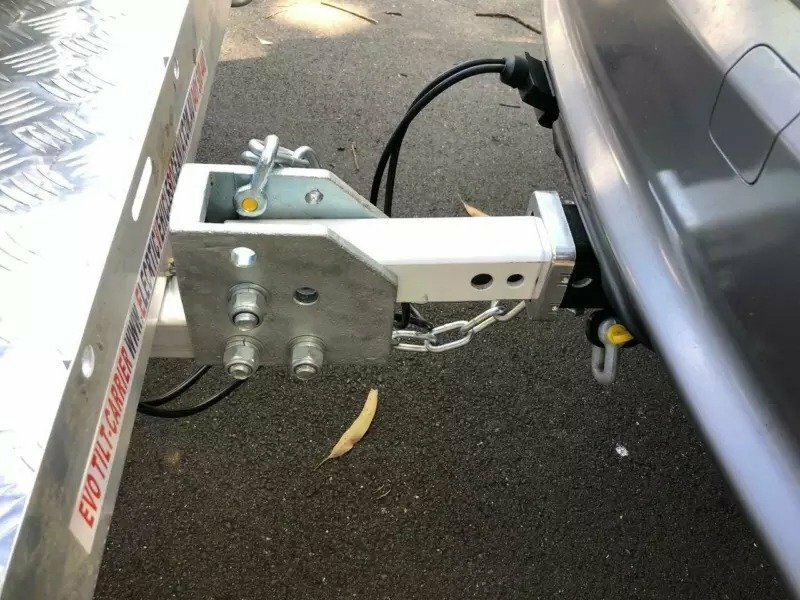 For this reason, you need a car with solid suspension and a high clearance between the tow bar and the ground. 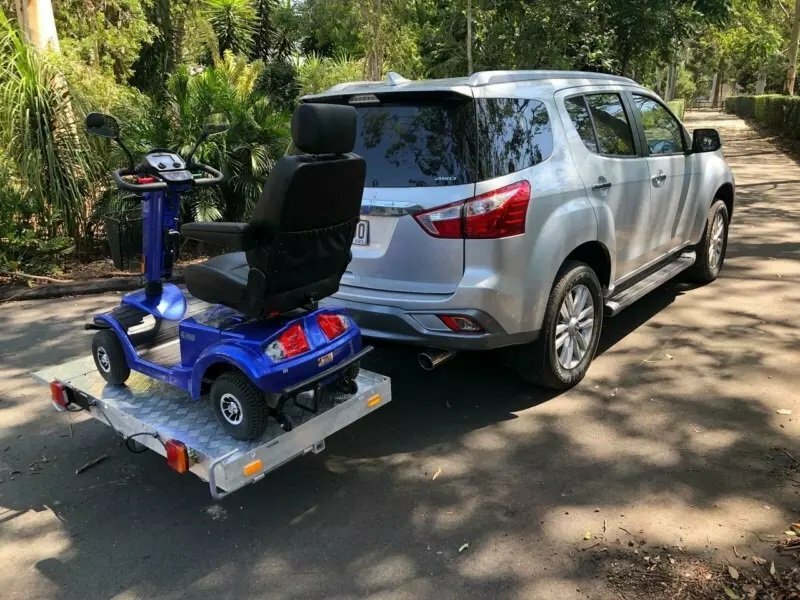 You will need a large 4WD for this scooter rack, like a Toyota Prado. 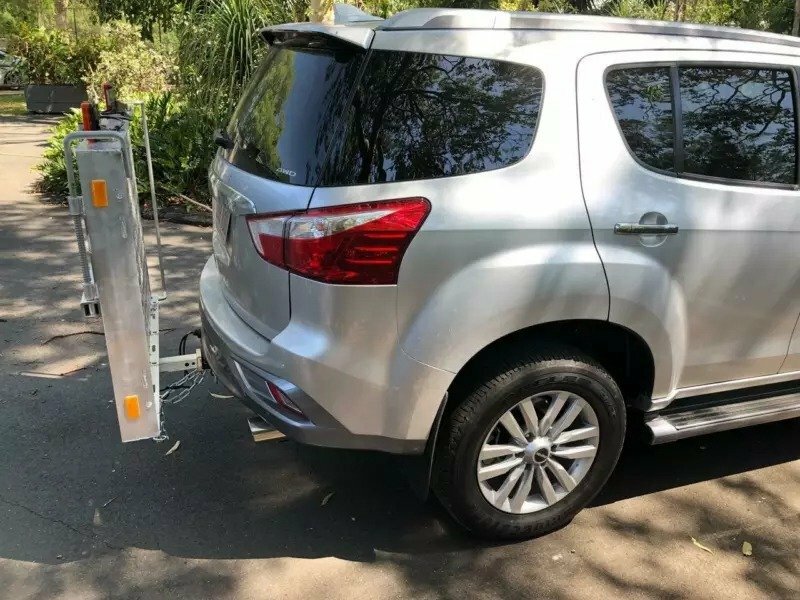 A SUV does not have the clearance or suspension to handle the weight. 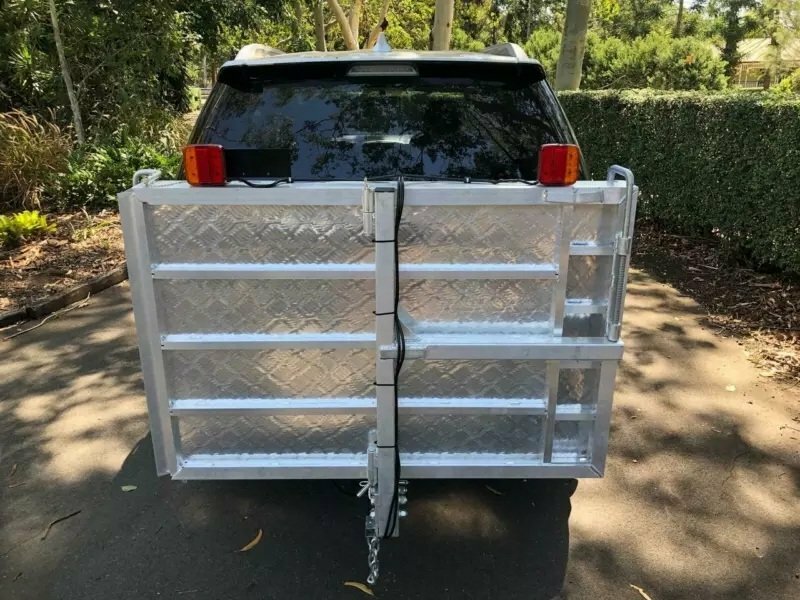 There is also a need requirement from State Government Transport Authorities that the vehicle’s rear overhang with the carrier attached must not exceed 1.2 meters from the rear of the vehicle, or 60% of the vehicle’s wheelbase. 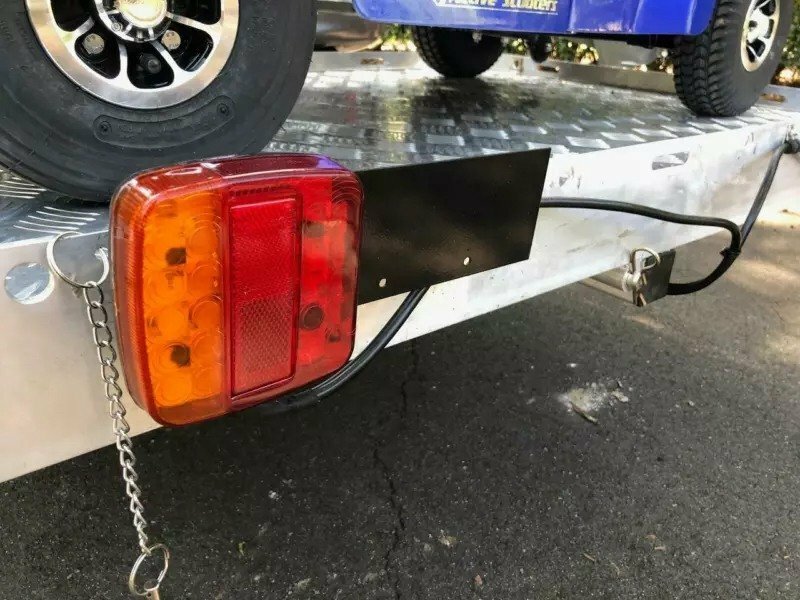 You’ll also need to have a tow connection called a Hayman Reece, that’s the square tube connection of the size 50mm. A rating above 200kg is required. 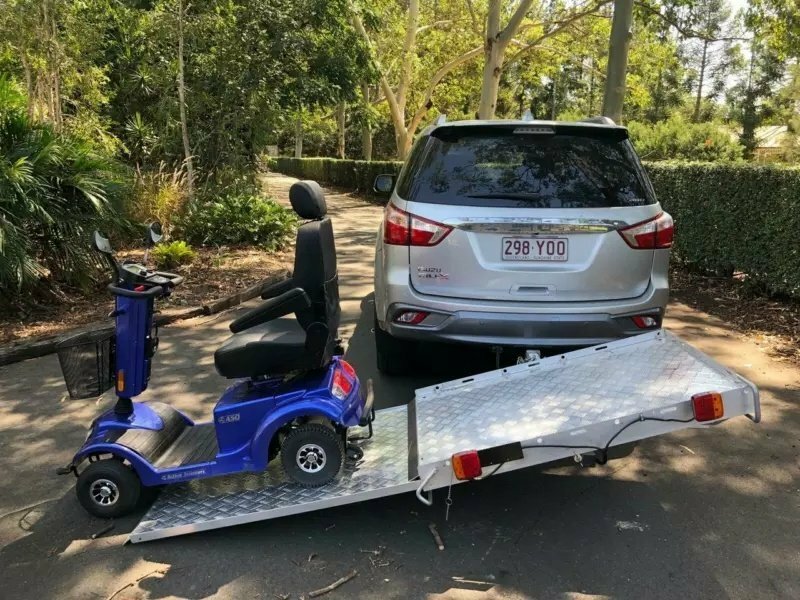 For more information about our carriers, I recommend you contact us to see if your car is large enough for this great mobility scooter carrier. It will give you the freedom to go where ever you want. We can send carriers all around Australia, including Sydney, Melbourne and Brisbane.